Anyway, I have also been getting inky recently and have spent some time picking out papers and colouring up a whole batch of images. I'm now spending the weekend making cards out of them. Think I might use this method a bit more in the future actually as it seems to get my creative juices flowing more! I made this card a couple of weeks ago for Ali's birthday. It just so happens to fit the challenges over at DU2DS where the team have ask for shaped cards, and also over at Cupcake Craft Challenges where the call is to use digi images. 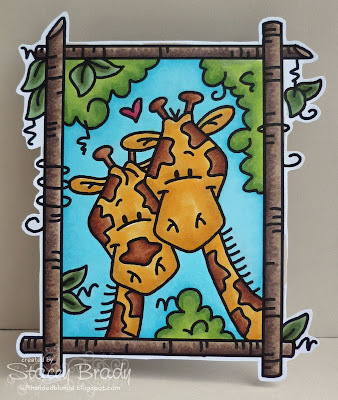 Digi Stamps: 'Giraffe Block, Two Love' - Bugaboo Stamps. Copic Markers: E29, E31, E33, E35, E37, E43, E47, E49, R32, R35, R37, YG03, YG63, YG67, G21, G85, G94, BG01, BG05, YR23, Y17 - available HERE from Dies to Die For. Adorable. 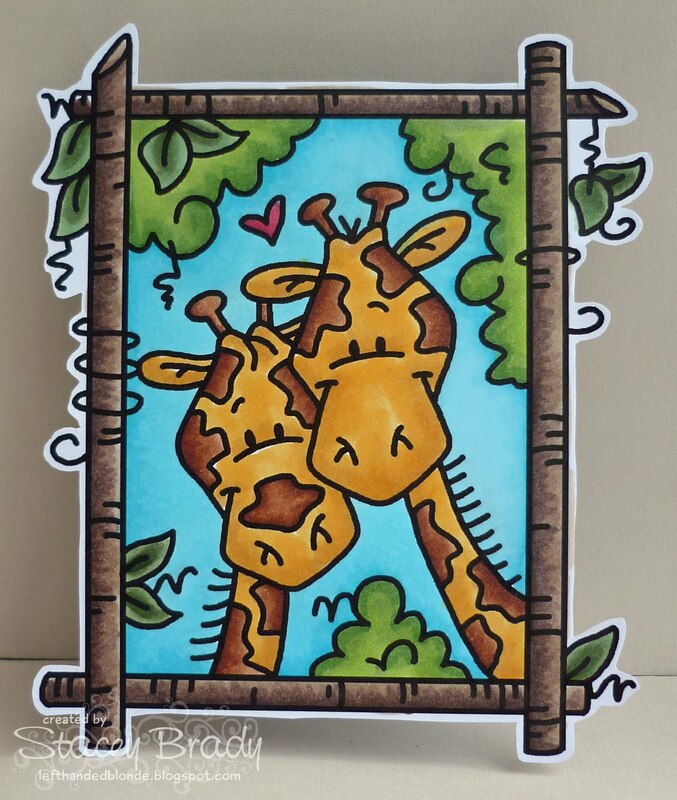 The giraffes are too cute and colored beautifully. Love this fab shaped card, I'm sure Ali loved it! Glad to see you back again, looking forward to seeing your knitting creations!